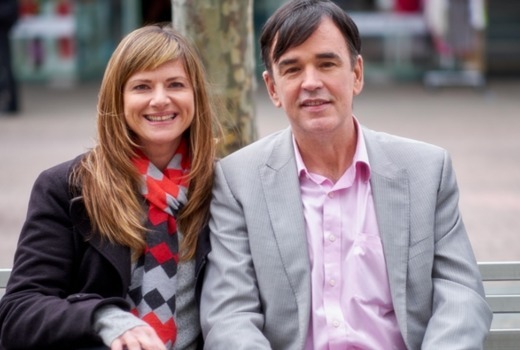 The guest this week on Julia Zemiro’s Home Delivery is the one and only Tim Ferguson, who reflects on growing up, the Doug Anthony All Stars and how MS hasn’t stopped him achieving anything much other than being mobile. Tim Ferguson was one-third of the legendary Doug Anthony All Stars, who burst out of the national capital in the Eighties and spent a decade shocking and delighting audiences. Their anarchic mix of comedy and music brought them fame at home, in the UK and the US. Diagnosed with MS in his twenties, he has gone on to become one of Australia’s most accomplished comedians and screen writers. He has just directed his first feature film, and has established himself as Australia’s leading teacher of comedy. 2014 saw the reunion of the All Stars and they made a triumphant return to the Edinburgh Comedy Festival in 2015. Some of Tim’s childhood years were spent in country NSW when his father, ex ABC journalist, Tony Ferguson moved his young family to a property outside of Bathurst. Julia meets Tim in an old Holden Kingswood and they travel to Newbridge where Tim and his two brothers ran amok in the paddocks and shearing sheds of a sheep farm. The house has barely changed since Tim was a boy – right down to the mock doric columns on the 1970’s patio.